Do you like The Zombie Show? Share it with your friends. The Zombie Show is a great brutal flash game in which you have a total of eighteen different levels of complexity from the pervading TV show. 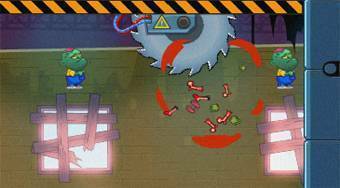 In each round, your task is to steer zombies into different traps so that you will gradually kill all.